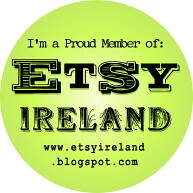 Great selection and thanks for including my blue bow buttons! I love that pic by FablesbyBarrie, I really love the pin-up look. I'm currently doing some graphic design for a burlesque vaudville show, it's so much fun, I can't believe I'm getting paid to make pictures of things I love! Oh wow, what a cute gallery you curated! It makes us crave summer fun. 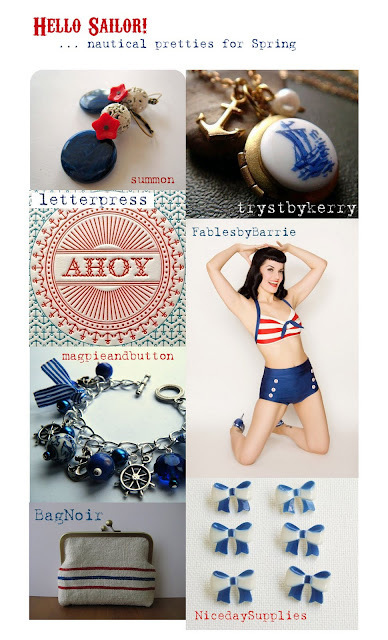 What an honor you featured our Ahoy letterpress print in your post. Thank you kindly! What a surprise!